Coach Hire Naples - Bus Charter Naples - Bus Service Naples, Italy! There is a lot to see and do around Naples – from Mount Vesuvius, to the Royal Palace, to the stunning coastline and Castel Dell’Ovo. But in order to make the most of any trip, it’s important to plan ahead and to consider logistics. Where will you stay? How will you get from A to B? And what will you choose to visit first? Getting these questions right can help you to avoid challenges like pickpockets, hot weather, and long queues. It can help you to enjoy the journey as much as the destination, and in short it can turn your holiday into the perfect experience. And that goes double for large groups and organized trips. If you run a small business offering sight-seeing, walking, or anything else, then you should consider even more carefully how you’ll keep your group together and give them the incredible trip that they signed up for. All of these challenges and many more can be handled by choosing coach hire in Naples. And if you’re looking for coach hire in Naples, then there is no better choice than Bus-italy.com. Read on to learn more! 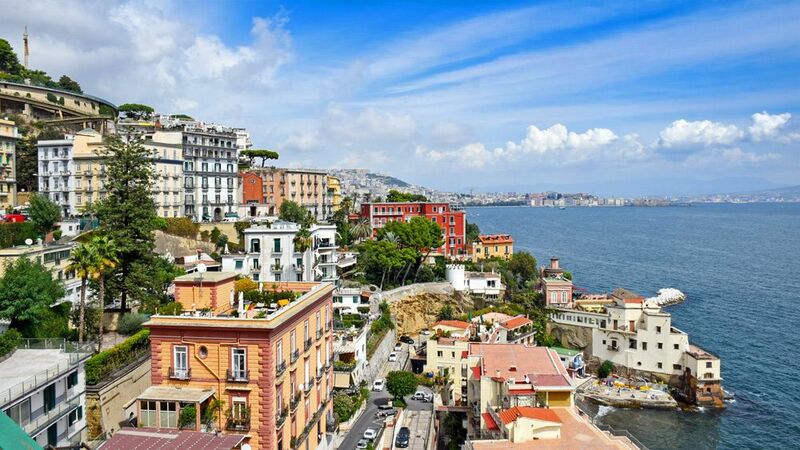 If you’re planning on seeing all the sights around Naples, then you have a few options. One is to take public transport. While that gives you the ‘authentic’ experience, it also means standing in large queues, exposing yourself to potential pick pockets (a challenge with any kind of international travel), and getting incredibly hot. When travelling in larger groups, this is also the least cot effective as every traveller will need separate ticket. Another option is to rent a car. This is fine for a small family, or a single traveller, but obviously not an option for large groups. It also means trying to navigate the roads of Naples – dealing with the sometimes… passionate… driving that the country is known for, and finding a way to get to and from a car rental place (not to mention choosing one that isn’t going to try and swindle you!). Which is why so many people will chose coach hire Naples instead. This way, they can be driven by someone who knows the roads, they can split the cost between the group, and they can dictate precisely where they want to go and how they’re going to get there. What’s more, is that when you choose Bus-italy.com, you’ll be getting luxury coaches with all the facilities you could want. If you get a minibus hire with a driver then you will be transported to your desired location in a fashion that leaves you with plenty of room, that is highly comfortable, and that allows you to split costs with other passengers. This means you can forget your worries and relax while you are taken to wherever it is that you want to go, and this is why many people will choose minibus hire with a driver to take them around Naples. However, if you have a minibus hire with a driver then this can sometimes leave you in an unusual situation where you are able to sit back and unwind when maybe you were used to being designated driver. You can actually enjoy your journey. So, what do you do in all this free time? To help you prepare for the trip, here are some more ways to capitalize on that time. Many people will opt for the obvious option – sleep. This allows them to recharge their batteries as it were and to really forget any worries they might have had. While it’s a fascinating day out, exploring Pompei or Vesuvius is an extremely tiring trip, especially in the blistering heat. To recharge your batteries and drift off though, then you will likely need some added comfort – though our coaches are perfectly designed for sleep. A neck rest here can help a lot to prevent your head from lolling forward, while meanwhile you may also benefit from an eye mask to keep the light out, a blanket to keep you warm if your co-travelers want the air con on for instance. If this is not your cup of tea – perhaps you're too excited about the destination, or perhaps you struggle to sleep on journeys – then there are lots of other things you can do to pass the time. On a minibus hire in Naples, unlike going by car, you can hear yourself think better as you are less hemmed in and this means that now is a perfect time to get your phone out and begin to catch up on your correspondence. This can mean phoning friends and family who perhaps are owed a phone call, or it can mean calling banks and business partners and getting things out of the way that you should have done sooner. Of course you can also chat to friends if you’re all travelling together! The great thing about a minibus hire with a driver though is that all of you are riding in the coach together and this means that you can enjoy being sociable. You can just chat to your friends and family now then and get some real quality time in, or even play some games like I-spy or various guessing games. This is also why a lot of stag parties and hens will choose Coach Hire in Naples. If you have a smartphone though then this will open up a world of possibilities for things you can do on your minibus hire. For instance, why not browse the web and catch up with the latest news or read your favorite website. Or how about bringing a great book, or a Nintendo Switch? After all, holidays are about relaxing! Excited to visit Naples in the most low-stress and fun way possible? Then just get in touch today! Have questions about large groups or organized trips? We’ll happily answer them over a no-obligation consultation.